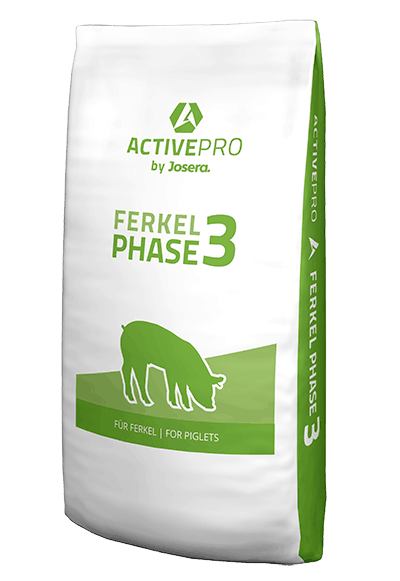 JOSERA Active 3-50 is a crumbled supplementary feed for piglets with 50 % application quantity. JOSERA Efficient 3-40 is a crumbled supplementary feed for piglets with 40 % application quantity. JOSERA Safe 3-100 is a crumbled complete feed for piglets which is usable as a special diarrhoea protection.